Dixion company offers health insurance in Germany. Insurance provided by Dixion, is the first step to enter the German insurance system. The basic condition for the German insurance is the availability of e-mail addresses in Germany and a German bank account. The cost of insurance depends on the chosen conditions and varies from 80 to 290 € per person per month. The cost of the company '' Dixion '' is, including all taxes and fees 70 € per month. Primary processing of documents for submission to the insurance company and help opening a bank account, including all taxes and fees is 100 €. Translation of documents (optional) from German into Russian is calculated at the rate of 40 € (plus 19% VAT) for 1 A4 sheet. The person to be insured: the person with the right insurance, as well as their family members. The maximum age of the insured person is 66 years old. Providing insurance coverage will automatically terminate at the latest at the end of the month before the insured person turns 67 years old. Family members are cohabiting partners in life as well as their children. 1. The insured person provides international insurance cover in places its temporary stay outside the country in which he has his permanent residence or his place of residence. 2. In countries where there is a place of permanent residence of the insured person or his residence, the insurance coverage is valid only in case of emergency. ° For example, if you are resident in the territory of Russia, the insurance protection in Russia only applies to cases of emergency. Validity of insurance: 5 years. 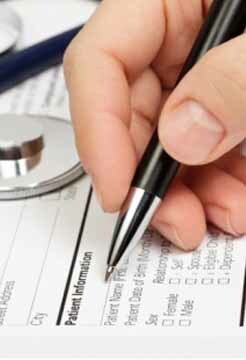 To determine the state of health of the insurance contract, each person wishing to be insured must fully and accurately fill out a questionnaire about health. Persons who have reached the age of 50, must in addition to that required to pass medical examination and provide a certificate to the insurance company. After a year without the treatment, previous illness of the insured person are also subject to insurance protection. 100% of the bill for medically necessary outpatient treatment. 100% of the bill for medically necessary inpatient treatment. 100% of the bill for accommodation in the hospital one of the parents as the accompanying person during inpatient treatment of the insured minor child. 100% of the bill for the appointment of a physician and medically necessary drugs, dressings and medical devices. 100% of the bill for medically necessary outpatient dental treatment. Tabs and implants do not fall within the scope of insurance services. Every year during the term of the insurance contract is possible one routine inspection and treatment (including polishing and cleaning of the teeth). Prosthetic dentistry / orthodontics: insurance protection insurance is valid for events occurring after the expiration of the waiting time of 8 months: 90% of the amount paid bills for medically necessary dental prosthetics and treatment in the field of orthodontics insured persons under 18 years of age. Restrictions on payment: up to 3000 euros for the first two years of insurance, up to 5,000 euros for the first three years of insurance, from the fourth year of insurance, up to a maximum of 4000 per year. Required prosthetics in an accident is funded to the maximum amount without waiting time during the contractual period. Outpatient preventive examinations of children, as well as early diagnosis of cancer according to accepted programs in Germany. Other preventive examinations with the amount of compensation up to 300 euros per year. Vaccination before traveling as recommended by the "Standing Committee on Vaccination" with the amount of coverage up to 250 euros per year of insurance, including vaccines, as well as preventive measures recommended for the particular host country. Medical services related to pregnancy and childbirth if the pregnancy occurred after the conclusion of the insurance contract.Birth after a stipulated time rate expectations. The insurance cover is valid for the designated doctor and medically necessary aids, as well as the costs to repair them with the amount of coverage to 80% of the invoice amount, the maximum amount of 2,000 euros per year of insurance. The costs of the means for vision correction are covered up to a maximum amount of 600 euros for each insured person every three years insurance timeout in one year. Psychotherapy: 80% of the check amount for outpatient treatment, to a maximum of 2,000 euros per year of insurance.Hospital stay up to 30 days during the term of the contract. 100% for the transportation of patients to the hospital for first aid after an accident. The insurance company reimburses the cost of medically necessary transport of the insured person to a country in which the insured person has a permanent place of residence: inland to 5000 euros to 10,000 euros intercontinental. In the case of the requirement under the air ambulance, limiting the amount of the costs is not valid. The need to transport occurs when the host country can not be provided sufficient medical care. Used for the transport of the most economical vehicle, if it is possible for medical reasons. Standby time: starahovka shall enter into force 8 months and 12 months - means for vision correction after signing the contract. Worldwide excluding USA / Canada: children under 12 195 euro, adults up to 50 years € 260, adults after 50 years of 290 euros. If you choose the tariff "Worldwide excluding USA / Canada" insurance coverage is valid for temporary stay due to vacation or business trip, also in the US / Canada, for a maximum of 42 days per year of insurance. With regard to treatment, were on the end of the 42-day term, the insurance cover is not valid. In addition, the insurance coverage is valid only in cases of urgent need of medical care. With respect to diseases whose treatment was scheduled to travel to the US / Canada, the insurance cover is not valid. All over the world, including USA / Canada: children under 12 560 euro, adults up to 50 years 680 Euro, adults after 50 years of the euro in 1020. Franchise in the US / Canada 500 euros per person per year of insurance. Transfer of insurance contributions is only possible once a year or every six months (+ 2%). Settlements by direct debit is possible only with German accounts once a month (+ 5%), on a quarterly basis (+ 3%), every six months (+ 2%) or once a year. Alternatively, the premium can be paid by credit card (+ 6%) in the same manner as when making payments by direct debit. Persons with the right insurance: individuals. From the same family can be registered only one person with the right insurance. Persons subject to insurance: the person with the right insurance, as well as their family members. The maximum age of the insured person is 66 years old. Providing insurance coverage will automatically terminate at the latest at the end of the month before the insured person turns 67 years old. Family members are cohabiting partners in life as well as their children. The insured person provides international insurance cover in places its temporary stay outside the country in which he has his permanent residence or his place of residence. In countries where there is a place of permanent residence of the insured person or his residence, the insurance coverage is valid only in case of emergency. ° For example, if you live permanently in the territory of Russia, the insurance protection only covers the costs of emergency. The validity of the insurance: 5 years. With the consent of the insurance company, renewable once an insurance contract for another 5 years. The data on the health status: not required. 100% of the bill for accommodation in the hospital one of the parents as the accompanying person during inpatient treatment of the insured minor child. In this case, the insurance protection also applies to medically necessary final rehabilitation. Prosthetic dentistry / orthodontics: insurance protection insurance is valid for events occurring after the expiration of the waiting time of 8 months: 80% of the amount paid bills for medically necessary dental prosthetics and treatment in the field of orthodontics insured persons under 18 years of age. Restrictions on payment: up to 2,000 euros for the first two years of insurance, up to 3,000 euros for the first three years of insurance, from the fourth year of insurance, up to a maximum of 4000 per year. Outpatient preventive examinations of children, as well as early diagnosis of cancer according to accepted programs in Germany. Medical services related to pregnancy and childbirth: medical care, including examinations related to pregnancy, if the pregnancy occurred after the conclusion of the insurance contract. Birth after a stipulated time rate expectations. The insurance cover is valid for the designated doctor and medically necessary aids simple execution, as well as the cost to repair them with the amount of coverage to 80% of the invoice amount, the maximum amount of 1,000 euros per year of insurance. The costs of the means for vision correction are covered up to a maximum amount of € 50 per insured person per insurance year. Psychotherapy: trauma (burdening external event associated with the confrontation with physical damage or threat to the health of the insured person or the person close to him, as a threat to life or actual death). 80% of the check amount for outpatient treatment, to a maximum of 2,000 euros per year of insurance. The insurance company reimburses the cost of medically necessary transport of the insured person to a country in which the insured person has a permanent place of residence or domicile. Inland to 5,000 euros to 10,000 euros intercontinental. If you need to transport the involvement of air ambulance, limiting the amount of the costs is not valid. Used for the transport of the most economical vehicle, if it is possible for medical reasons. The need to transport occurs when the host country can not be provided sufficient medical care. Standby time: insurance comes into force 8 months after signing the contract. Worldwide excluding USA / Canada: the person with the right insurance 144 euros, 195 euros family members (per person). If you choose the tariff "Worldwide excluding USA / Canada" insurance coverage is valid for a temporary stay due vacation or business trip, and also in the US / Canada, for a maximum of 42 days per year of insurance. With regard to treatment, were on the end of the 42-day term, the insurance cover is not valid. In addition, the insurance coverage is valid only in cases of urgent need of medical care. With respect to diseases whose treatment was scheduled to travel to the US / Canada, the insurance cover is not valid. All over the world, including USA / Canada: the person with the right insurance 399 euros, 599 euros family members (per person). The deductible in the US / Canada 500 euros per person per year of insurance. Persons with the right insurance: natural and legal persons. Persons subject to insurance: individuals with the right insurance, or natural persons registered legal entity with the right insurance, as well as their family members. The maximum age of the insured person is 66 years old. Providing insurance coverage will automatically terminate at the latest at the end of the month before the insured person turns 67 years old. Family members are cohabiting partners in life as well as their children. ° For example, if you are resident in Russia, the payment for your care in Russia is sold only in emergencies. Validity of insurance: Expat flexible basis, Expat flexible plus a maximum of 60 months. Further terms of insurance are reviewed depending on the current state of the insured person and practice of communication with him. Standby time: immediately after receiving the confirmation of entry into insurance. Prosthetic dentistry / orthodontics: insurance protection insurance is valid for events occurring after the expiration of the waiting time of 8 months, 60% of the total bill for medically necessary dental prosthetics and treatment in the field of orthodontics insured persons under 18 years of age. Limitations: up to 500 euros for the first year of insurance, to 800 euros for the second year of insurance, for each year of insurance to a maximum of 1,200 euros per year. Outpatient medical checkups for early diagnosis of cancer according to accepted programs in Germany. Standby time: insurance comes into force 8 months after signing the contract, except in an emergency. With choosing the tariff "Worldwide, excluding USA / Canada" insurance coverage is valid for a temporary stay due to vacation or business trip, and also in the US / Canada, for a maximum of 42 days per year of insurance. With regard to treatment, were on the end of the 42-day term, the insurance cover is not valid. In addition, the insurance coverage is valid only in cases of urgent need of medical care. With respect to diseases whose treatment was scheduled to travel to the US / Canada, the insurance cover is not valid. Insurance protection is valid for legal cases up to one million euros worldwide, with the involvement of the insured in the amount of 500 euros for each case. Until the above limit insurance company incurs expenses for attorneys' fees and court costs. In addition to your medical insurance abroad you are given free insurance costs of legal assistance for patients abroad. At your request, you will be recommended a lawyer who specializes in medical law, in the event that if doctors or medical staff made ​​mistakes during treatment, causing you to have suffered one or other damage. Although trust is the foundation of the relationship doctor and patient, but errors can make and doctors. In such cases, the patient may be very difficult in the proceedings of this nature to prove the fact of a medical error. In most cases, the proceedings conducted not directly with the doctor and with the insurance company of the doctor. Medical errors can be considered improper, incorrect or untimely treatment of the patient's doctor. People in need of medical care abroad, need fast, competent and effective support. Therefore, the company has included in the concept of insurance Assistance program with appropriate services, as well as support in case of emergency. These services customers can enjoy 365 days a year, 24 hours a day.